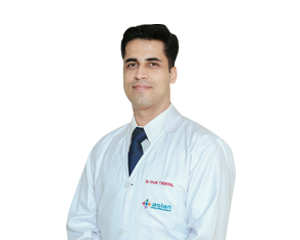 Asian Centre for Bones and Joints is a super-speciality orthopedic centre that is recognized all across Delhi NCR as one of the best centres for bones and joints treatments. 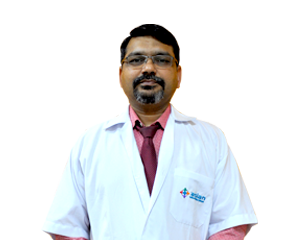 This department is well equipped with technical excellence along with medical and surgical expertise of our well experienced orthopedics whose innovative approach towards diagnosis procedure and treatment ensures excellence in patient care. This department has a wide spectrum of evidence-based records for various musculoskeletal problems along with athletics accidental injuries of bones, joints, ligaments, muscles, tendons and nerves. Our orthopedic specialists have diverse expertise and are committed to provide effective solutions to a broad range of orthopedic problems such as sports medicine, trauma, slip disc surgery, adult reconstruction, joint replacement, pediatrics, orthopedic oncology, spine, shoulder and elbow, foot and ankle and hand. The department is dedicated to provide expert treatment for all aspects of musculoskeletal injuries including inpatient and outpatient surgical care, rehabilitation and prosthetics. 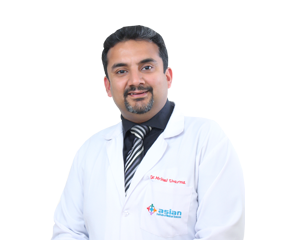 Asian Centre for Bones and Joints use latest available technologies and services for perfection and provide excellence in clinical care. Computer navigation system- Asian Institute of Medical Sciences is proud to introduce a world class comprehensive computer navigation system for the first time in Faridabad. This is the best and advanced minimally invasive technique which delivers perfect knee replacement treatment for lifetime with 0% error. 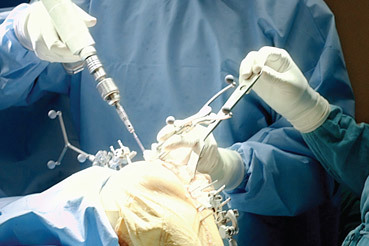 Microscopic spine surgery: State-of-the-art spinal surgery with the help of operating spine. Arthroscopy- A minimally invasive procedure, arthroscopy is done for diagnosing and treating joint issues. This procedure also helps in curing joint damages with the help of a video camera and pencil thin surgical equipment. Bone Scan– A nuclear imaging diagnostic procedure to detect various types of bone problems like skeletal pain, bone injury, orthopedic cancer and bone infection. What is Computer Navigated Knee Replacement? Although Total Knee Replacement (TKR) is a common surgery but it requires surgeon who is not only skilled but also technically sound and updated with latest technology to give satisfactory result. Recent innovations have improved both early and long term results with greater satisfaction. Computer Navigation guiding the surgeon through the implantation of a total knee replacement is the newest and perhaps the most exciting innovation. This is a concept where final implants are placed in such a way that it matches the natural knee anatomy. 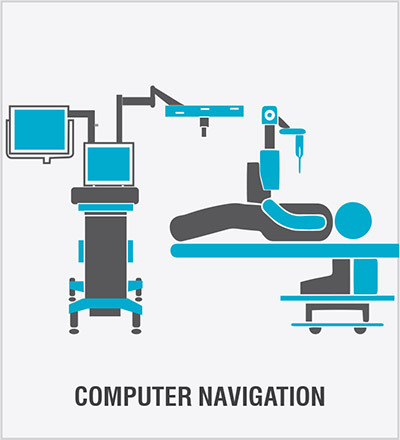 When knee replacement is performed with computer navigation system, it is almost like natural knee. Ligament balancing and alignment of limb are done with zero error. Anatomical placement and balancing of knee implant decrease wear and tear of implant. In other way, these increase the longevity of implant. Several independent studies over the years have shown that using orthopedic navigation for knee replacement surgery reduces the number of outliers and improves overall alignment, leading to better performance and longer life of the implants. Newer implant designs provide normal range of motion. Better understanding of the role of the ligaments about the knee has resulted in improvement of joint stability. 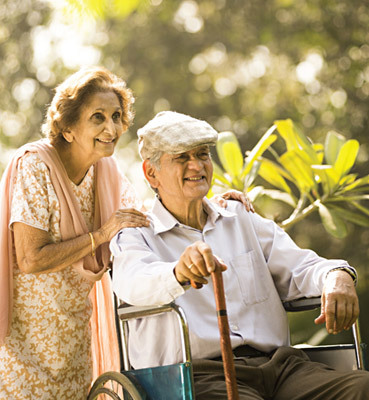 These efforts have resulted in shorter hospital stays, less time on a walker and a quicker return to normal function. Less post-operative pain and a shorter and smaller scar (improved cosmesis) are the by products of minimally invasive surgery. Through infrared sensing of patient anatomy the computer can precisely advise the surgeon to the exact location where new knee implants should be positioned. The technology carries the promise of improving the precision of total knee replacement surgery, thus, improving the short and long term performance of the knee replacement. First hospital in Faridabad to undertake patient specific instrumentation technique in Knee Replacement. Revision joint surgeries are only done in this hospital in the entire region. Successfully executed a rare medical procedure- Custom made Expandable Mega Prosthesis on a 10-year old girl from Afghanistan for the treatment of Osteosarcoma. Successfully operated developmental dysplasia of the hip on a 7-year old child.